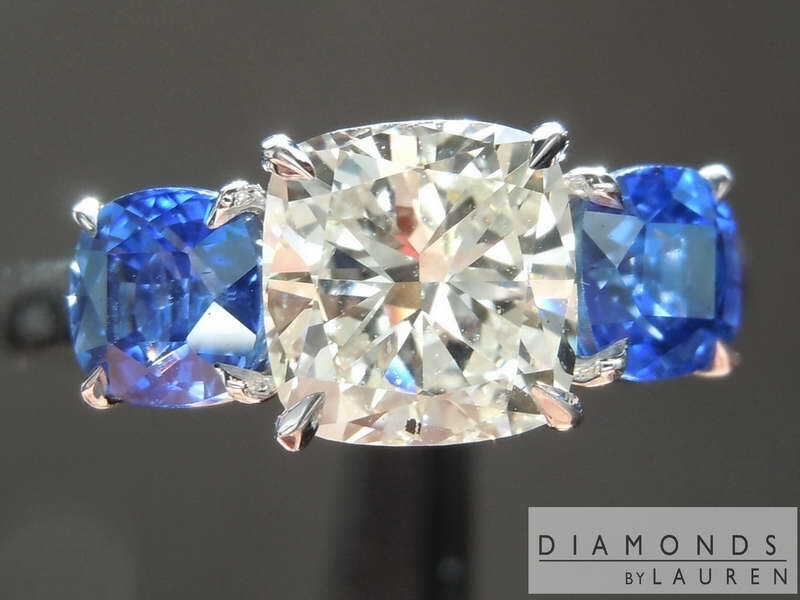 As I explained below, the cut of this Diamond promotes a lot of large white flashes, commonly known as “sparkles“. 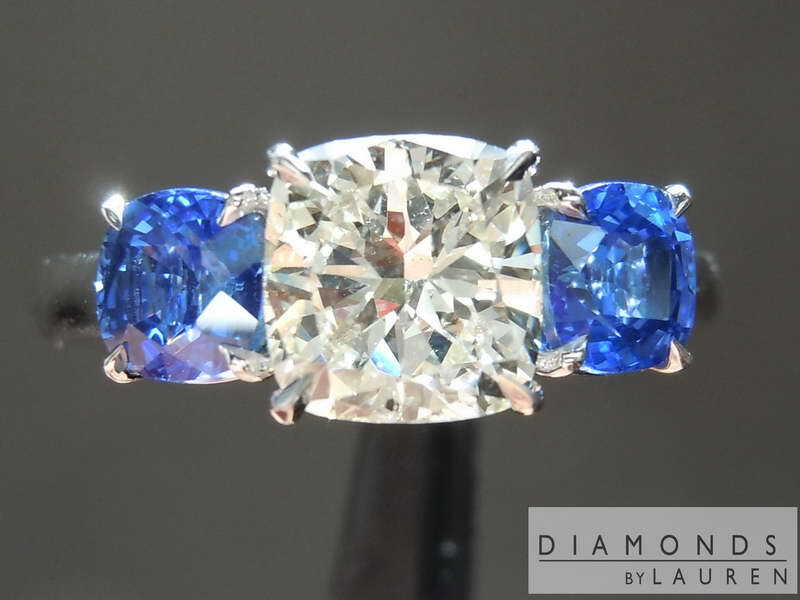 The sapphires we picked for this three stone ring are also beautifully cut cushions. 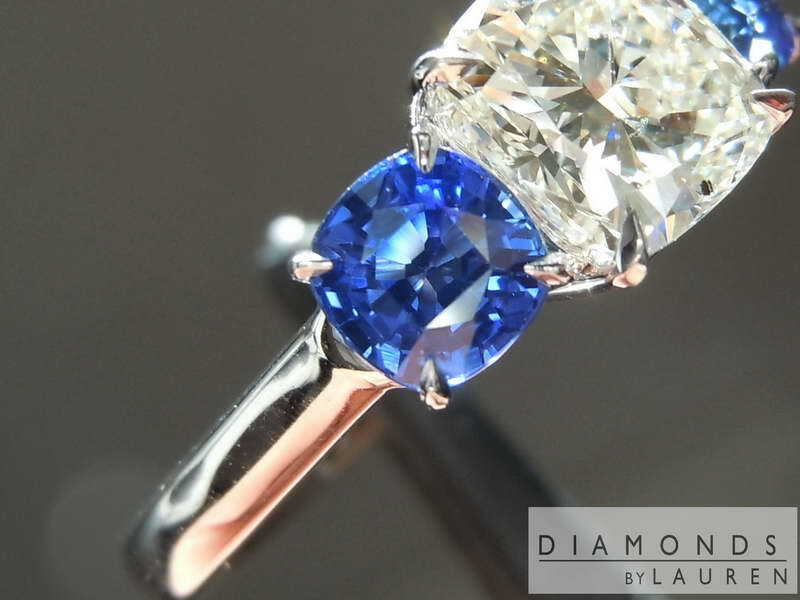 They also have a lot of sparkle, exept in a bright blue color. 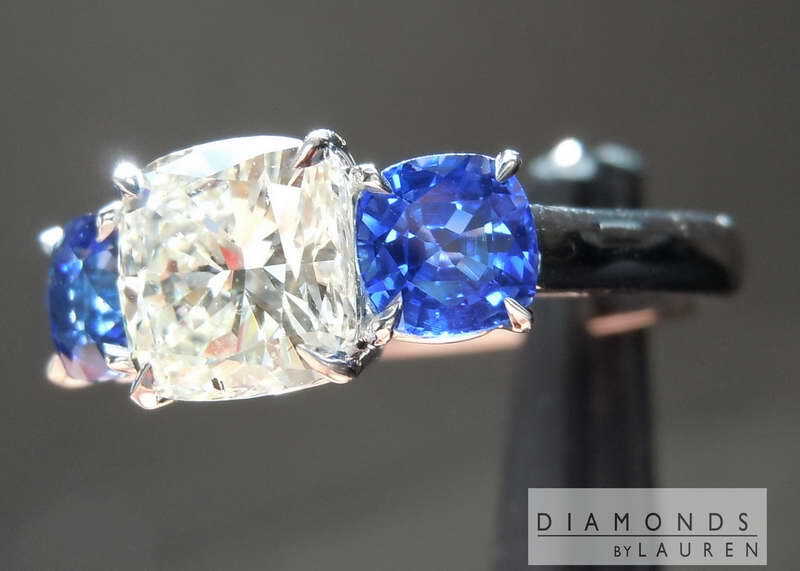 The color is pure blue without a hint of purple. 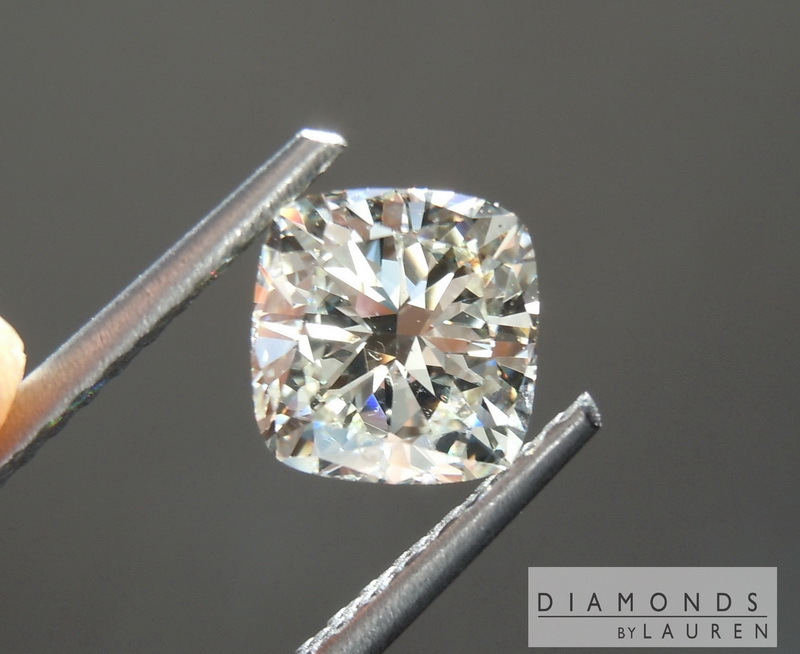 The contrast to the white flashes of the center diamond is simply stunning. 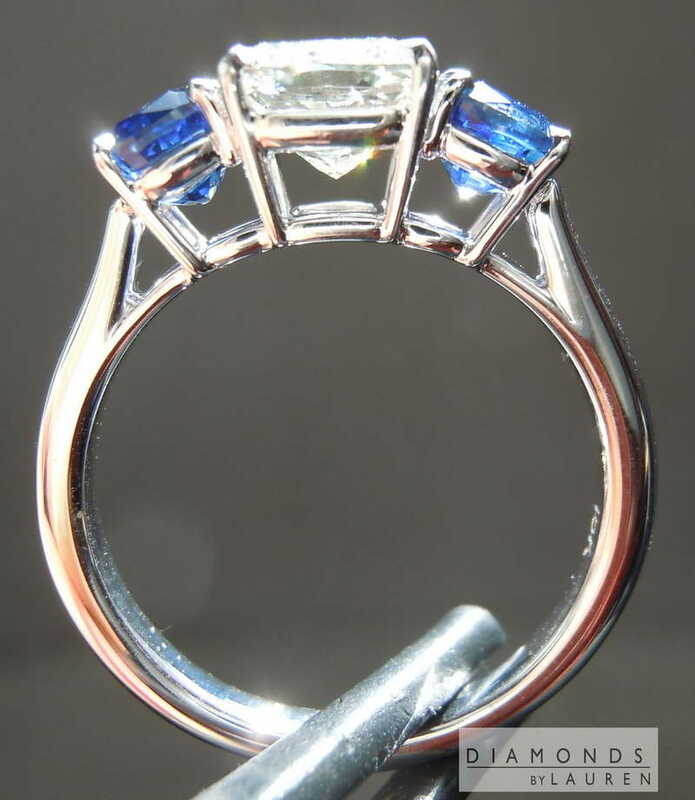 The hand forged top features claw prongs. 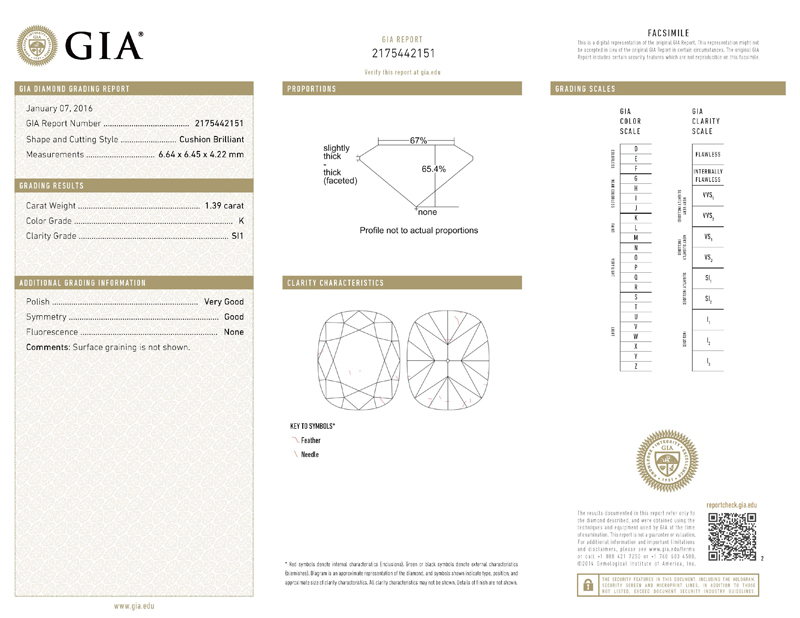 Everything is finished perfectly and the ring feels substantial. 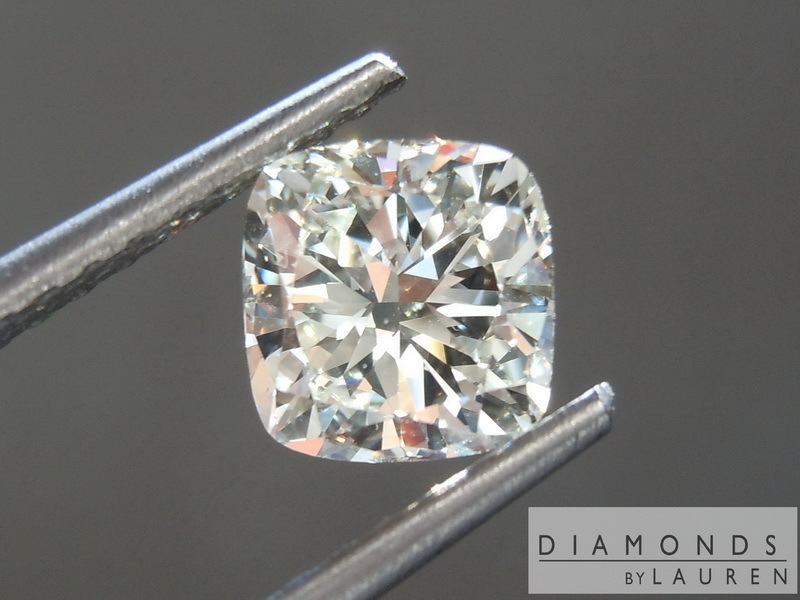 Here is an absolutely beautiful Cushion Brilliant diamond. 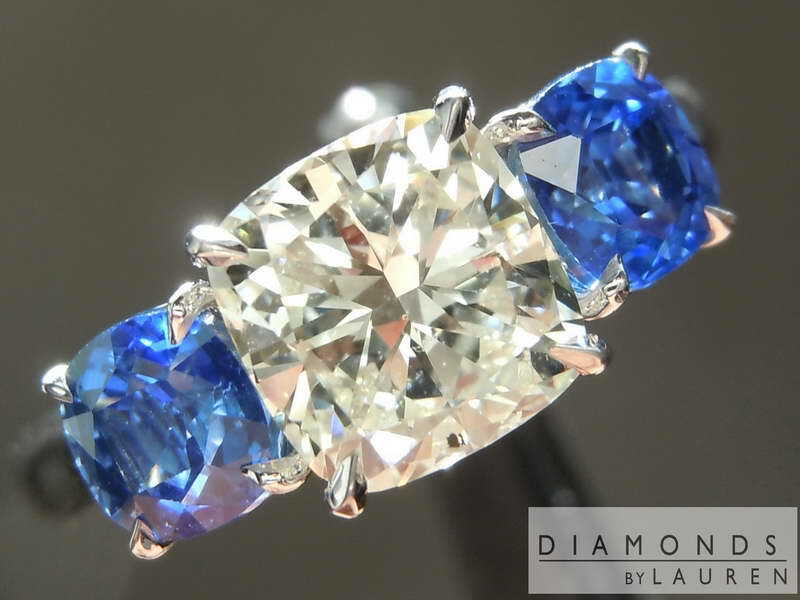 As such, it has the super bright and fiery light performance - similar to a round brilliant. 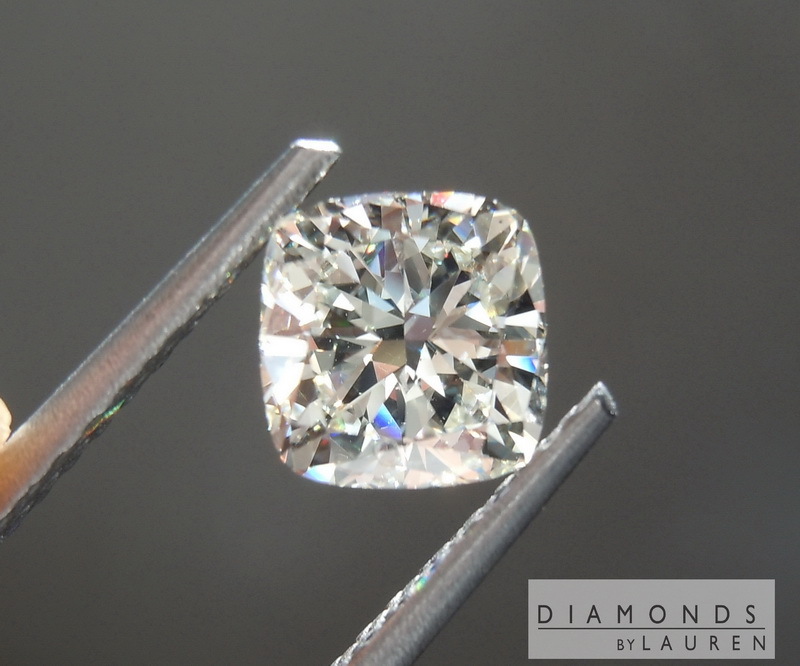 As usual, we love to find the stones whose grade lowers the price, in super well cut examples. This K color looks quite colorless - thanks to the cut. It is also an eye clean SI1. 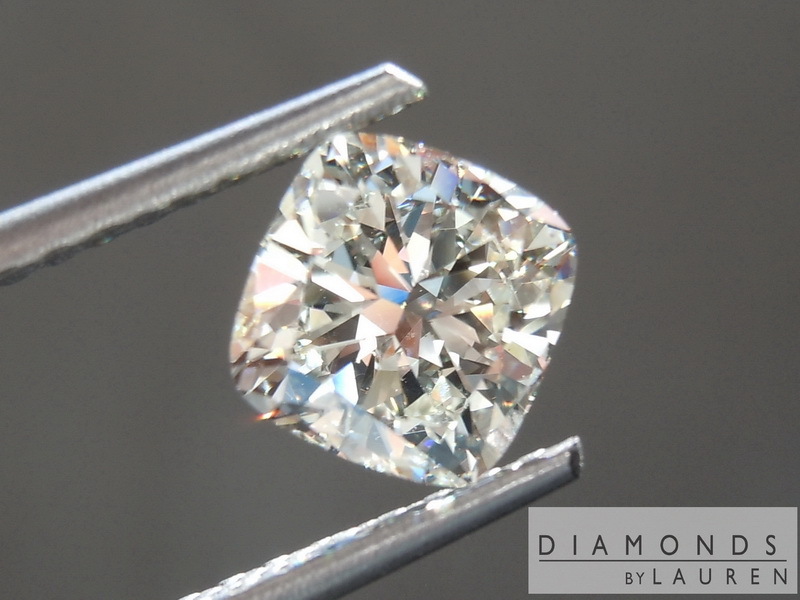 In this case, we also have a super desirable size at 1.39cts - the stone looks much like a 1.50ct in size. 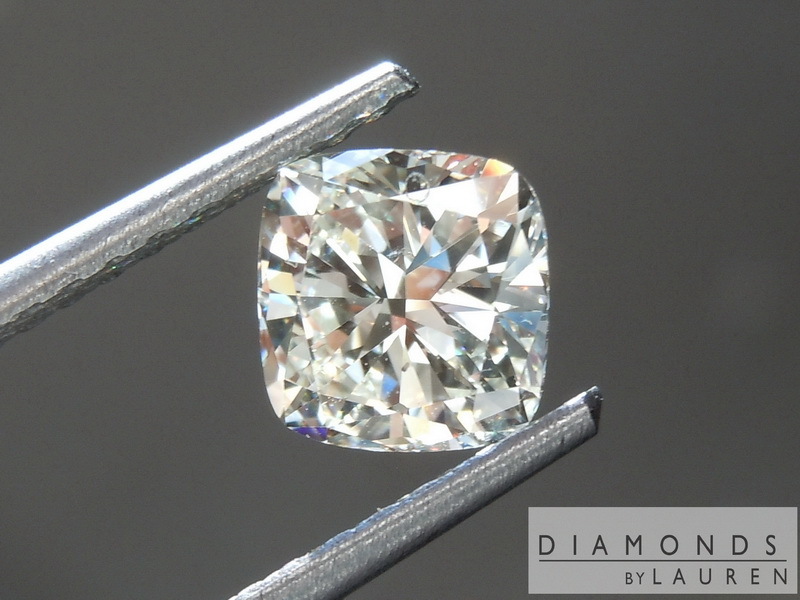 Great value in a Cushion Brilliant Diamond.